Looking to provide tremendous versatility in a cost-effective manner, systems integrator AV Communications recently installed a Soundcraft Si3 console as the centerpiece for its audio system design at the new Mapleview Community Church in Barrie, Ontario, Canada. Housed in a former sports arena, Mapleview Community Church currently seats up to 900 people, and is part of a much larger campus that eventually will include sports facilities, a daycare center and other recreational areas. In addition to the requirements for customary SPL, dynamics, and Percentage of Articulation Loss of Consonants, there were two requirements for this installation: It needed to fit within the designated budget and it needed to include a digital console. The console needed to handle 32 channels of mixing and a dozen auxes, and it had to be flexible enough to handle day-to-day presentations by members of the church, in addition to presentations by other members of the community who had already rented out the facility in advance. With the Soundcraft Si3 console, not only did Mapleview get the necessary flexibility and scene recall that’s unmatched in other mixing desks, but AV Communications also completed the entire installation within budget. “Not only did the Si3 fit all of the requirements for the project, but the learning curve was so short that we knew the sound crew would be up and running in short order,” said Gerry Harbridge, President of AV Communications. “After a short rehearsal, we were ready to go much faster than we would have been if we had just dropped in an analog desk. 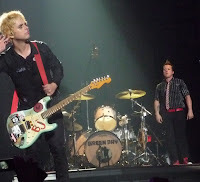 Green Day’s ongoing world tour in support of its latest album, 21st Century Breakdown, has its monitors mixed on the compact yet powerful Studer Vista 5 SR digital mixing console. It was the first and only choice for monitor mixer Beau Alexander, who has worked with the multi-platinum Green Day since 2004s American Idiot world tour. Alexander, who has also mixed for artists including Tool, Hootie and The Blowfish and My Chemical Romance, says the Vista 5 is an excellent fit with the Green Day tour. “What makes it a great fit for Green Day is the number of outputs it has,” he explains. “When we started the 21st Century Breakdown record cycle, I didn't know if we were going to be using in-ears or wedges for monitoring, so I had to set the desk up for both, and when I did that I was using somewhere around 40 outputs, which the Vista 5 can easily handle.” Alexander is currently running 71 inputs along with 30 outputs (Green Day ultimately chose to work with in-ear monitoring). The compact Studer Vista 5 digital live broadcast and production console combines award-winning Vistonics™-based technology with a highly cost-effective price. The Vista 5 is the first Vista console to be produced with PCB assemblies from Soundcraft Studer‘s new state-of-the-art manufacturing facility in the UK. While using a new SCore Live DSP engine, the tabletop-mounted Vista 5 follows the same operational principles and uses the same Vistonics screens as the Vista 6, 7 and 8. As South Africa’s leading supplier in technical event staging, Shattered Glass has depended on Soundcraft consoles to deliver flawless performances in some of the most highly attended international events for years. With its past experience validating Soundcraft’s ability to handle even the most complex setups and the 2010 FIFA World Cup coming to South Africa next year, the company recently purchased the Soundcraft Si2 to prepare for the events ahead. Shattered Glass has been using the Soundcraft Vi6 console for years for various types of live applications, including corporate events, concerts, and theatre environments, without ever having experienced the slightest interruption. After reviewing the features, Shattered Glass realized that the Si2 was also a perfect solution for all of its live sound needs based on the console’s ability to switch between channel and global mode, the FX and dynamics processing on every channel, and the easy VCA routing. In addition, the incredible versatility that allows the Si2 to be used for a multitude of applications meant that Shattered Glass will be prepared for any and every event at the FIFA World Cup. Shattered Glass has already used the Si2 for several events, including the Coca-Cola Moment 4 Summer Recruit, the MNet Long Service Awards, and the Vodashop Spring Break at Sun City. With its totally independent filters, 31 band EQ and dynamic processing, the Si2 has already lived up to the high expectations set by the Vi6. As a signal of the company’s intent to grow its business aggressively and efficiently in developed and emerging markets, Harman Professional today announced the creation of a new senior executive position, Head of Corporate Development, and the appointment of seasoned business development leader, Jim H. Huang, to fill the role. Reporting directly to Michael MacDonald, Executive Vice President of Marketing and Sales and to Greg Henry, Chief Financial Officer, Jim is responsible for driving growth strategies including market analysis, M&A activities and emerging market initiatives such as branding, channel strategy and local sourcing and manufacturing. Jim Huang will also work with David Jin and M.Lakshminarayan, China and India Country Managers and with Charles Owen, Vice President of Corporate Strategy, to dovetail Harman Professional strategies with the Harman corporate strategy. According to Michael MacDonald, Jim Huang will add a new dimension of focus, experience and commercial expertise to Harman Professional’s global business. “Harman Professional is matching ambition with action. We are determined to springboard into a period of continued fiscal growth and to do so we are taking strategic steps to expand our global market presence and to evolve our technology offerings. Jim Huang will be a strong and experienced leader in this initiative and I look forward to working with him during this exciting, positive time at Harman Professional,” MacDonald continued. 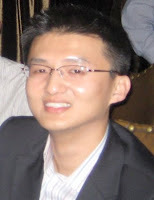 Jim Huang has over 10 years of professional consulting experience. Prior to Harman Jim was a lead engagement manager in the transaction advisory practice of Ernst & Young with experience in over 40 M&A transactions with total value in excess of $15 billion. A seasoned transaction executive working with business owners, management teams, corporate and financial buyers and sellers, Jim has deep understanding of key business issues impacting overall profitability. He has supported strategic and private equity buyers in a wide variety of industries including retail, consumer products, construction, high technology, media, entertainment, restaurants, pharmaceuticals, communications, manufacturing, business services, sport franchise and staffing/professional services. He has also supported the divestiture of a number of public and private companies including pre-sale due diligence, seller due diligence and reverse due diligence. At Ernst & Young, Jim provided operational consulting services in the advisory practice of working primarily with The Walt Disney Company. He served as an internal consultant to the company’s internal advisory function, which impacted companywide policies. Jim helped develop and execute business process controls review of ERP implementation of SAP, which allowed macro analysis of Disney products and line of business. Jim started his career in the assurance practice of Ernst & Young working with public and private companies in software, internet, technology, asset management and real estate industries. He participated in a dozen initial public offerings and secondary offerings for client companies. In the broader business community, Jim Huang is the Executive Vice President and Acting President of the Los Angeles Metro chapter of Ascend, the premier professional organization dedicated to enabling its members, business partners, and the community to leverage the leadership and global business potential of Pan-Asians. Currently, the national organization has over 4,500 members from 150 companies represented. Jim has a Master Degree in Accounting from the University of Virginia and Bachelors Degrees in Applied Economics & Management and Neurobiology and Behavior from Cornell University. Jim is a Certified Public Accountant and has passed the Series 3, the National Commodity Futures Examination. On a worldwide tour in support of her hit album It’s Not Me, It’s You, singer/composer Lily Allen has enjoyed great front-of-house sound on four continents, thanks to the Soundcraft Vi6™ large-format digital live sound console. The Vi6, designed using the proven reliability of Studer’s Vista™ and OnAir 3000™ series of consoles and that utilizes the incredibly intuitive Vistonics™ II user interface, lets Allen and her band effortlessly convey the sophisticated lyrics and dynamic music of her powerful songs. Soundcraft’s first large-format digital live desk, the Soundcraft Vi6 is a third-generation console, thanks to a joint development with sister console company Studer, and is part of the extensive Vi Series of consoles. Its patented Vistonics II interface uses a sophisticated touchscreen color TFT monitor with integral rotary controls and switches mounted on the glass to provide a “where you look is where you control” user experience. The Vi6 offers 64 mono inputs (expandable up to 96) into 35 outputs. Pairs of mono inputs can be linked to create stereo channels. Its 24 insert send/return pairs can be configured (using available I/O) and assigned to any of the 64 inputs or 35 output channels. All 64 input channels can have direct outputs in addition to their internal bus routing, assuming sufficient I/O is available (via an optical MADI card). There are 16 GPIO contact closure inputs and outputs on the local rack, and 8 inputs and outputs on the stagebox, as well as one MIDI In and two MIDI Outs on the rear of the control surface. Looking to outfit its new street-front HD studio in downtown Toronto, The Score Television Network recently purchased a Studer Vista 5 console to handle 5.1 sources and output 5.1 to The Score’s HD channel. The console was sold by Studer Canada via Applied Electronics, Ltd., which also provided consultation, system design and integration of The Score’s entire broadcast system. Lexicon®, a Harman International Company (NYSE-HAR) recently updated the software to the PCM96 and PCM96 Surround to make them compatible with both Pro Tools 8 as well as Mac OS X 10.5.7. In addition, software version 3.2.0.1 represents a major effort towards the improvement of streaming audio and control functionality of both systems. Featuring a wide array of rich, complex reverb algorithms with related delays and effects, the single rack-space PCM96 and PCM96 Surround processors integrate seamlessly into the modern studio as a control-only DAW insert or FireWire streaming hardware plug-in. The updated software for both the PCM96 and PCM96 Surround has been optimized to be less processor intensive when using the hardware plug-in functionality, and the Configuration display has been upgraded to handle multiple PCM96 and PCM96 Surround processors. Lexicon®, a Harman International Company (NYSE-HAR), today introduced the PCM92 Stereo Reverb/Effects Processor. For over 35 years Lexicon has been considered the golden standard of digital reverb and effects processing. The PCM92 utilizes the latest DSP technology and the finest collection of classic Lexicon algorithms to offer the ultimate processor for live and studio applications. Delivering 28 mono and stereo reverbs, delays, and modulation effects, flexible routing configurations, and a comprehensive library of over 700 factory presets, the PCM92 represents the most advanced audio processor in its class. The PCM92 delivers new capabilities to traditional reverbs by adding multimode filters in the audio flow. This allows more exact shaping of the reverb while still maintaining that distinctive smooth, rich “Lexicon Sound.” Also, all reverbs have an “Infinite” switch that allows the reverb to run forever, which is useful for creating unusual backgrounds and sound effects. The Lexicon Room algorithm provides a more flexible alternative to convolution type reverbs. Reflection patterns can be easily selected, scaled and equalized all while simultaneously passing audio, and the room size can be instantly changed or reversed. The Room algorithm provides the inherent realism of the actual space with all the precise control and manipulation that is only possible with a reverb synthesizer. The PCM92 features the highly acclaimed Hall, Concert Hall and Random Hall reverb algorithms that have regularly been used by live sound and recording engineers because of their exceptional ability to reproduce the musical ambience of large, wide, panoramically wonderful spaces. Designed as a single rack space processor with two channels of balanced XLR or ¼” analog I/O and two channels of XLR AES/EBU digital I/O, along with MIDI, Wordclock, and Ethernet, the PCM92 complements any mixing console or integrates easily with your DAW and features 24-bit A/D-D/A conversion and 44.1 to 96 kHz sample rates. The easy to use front panel keeps the most important parameters within reach on the high-resolution display for easy editing. To supplement front panel navigation for live applications, the PCM92 can be configured and fully controlled remotely through Harman HiQnet System Architect™. The foot switch and foot controller inputs offer additional flexibility for the live performer. The PCM92 has a suggested retail price of US $2699 and will be available in November 2009. Following in the tradition of decades of legendary Lexicon audio processors, the PCM92 offers the highest level of sonic quality that is easily deployed in Front-of-House as well as the recording studio. Lexicon, a Harman International Company (NYSE-HAR), today has rocked the audio industry with the introduction of its groundbreaking new PCM Native Reverb Plug-In Bundle. For over 35 years Lexicon has been considered the golden standard of digital reverb and effects processing and has continuously introduced leading edge technology for the audio industry. After years of research and significant advances in computer processing speeds, Lexicon has developed the PCM Native Reverb Plug-In Bundle which provides seven legendary Lexicon reverb algorithms that are designed to deliver the highest level of sonic quality and function, and offer all the flexibility of a native plug-in. the compact footprint of the Soundcraft Vi6 digital desk through which to mix the band as would Colm 'Meado' Meade down in Monitor City. The two Vi6’s were supplied by SSE Audio Group, which has supported the band since Bars’ introduction to the rental company by sound engineer Rampton. Harman’s UK distributor, Sound Technology Ltd., sold the Vi6’s to SSE Audio Group. It was an emotional return for the trio, led by Ed Macfarlane, and their rare brand of dance-oriented music with an indie pop feel, featuring tracks from their eponymous, Barclaycard Mercury Prize-nominated 2008 debut album. The band mix up the dynamics within a ‘retro disco’ lighting stage environment created by Mark Video — swapping instruments and ensuring Bars would need to call on the versatility and rapid access of the Vi6’s surface. Delphic were the support band on this occasion — but along the way Bars has led many support band engineers around the desk, demonstrating just how easy the Vi6 mixing system is to come to terms with. Working extensively at Vi6’s in venues such as KOKO and the O2 Academies, he progressively got hooked on the Soundcraft platform. Bars also works extensively with stereo groups. “I find using stereo compression on groups on other digital desks a pain because you have to cycle through pages to get to the compressor parameters; in fact on some digital desks you can’t actually do stereo group compression at all. With the Friendly Fires the standard channel list is around 28 inputs — but this can rise to 35 when they get into their Brazilian vibe (with carnival dancers and percussionists). All the backing tracks are run off a Pioneer CDJ — but Bars hopes to convert to hard disk in the future. 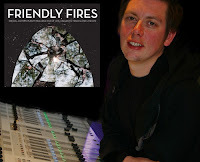 Richard Barling has been working with Friendly Fires since coming across the band while mixing Fear of Flying (now White Lies) and a one-off with the Noisettes during a War Child benefit at KOKO just over two years ago. A few weeks later he was recommended to the band. A feature of the next production tour will be the multitracking of every show. “I have already done a recording with the 64-channel optical MADI out on the Local Rack and it’s so easy.” He will also be using Virtual Soundcheck having seen it used successfully by another band during the Lollapalooza festival in the States. In a compelling demonstration of the high performance and depth of integration of Harman Professional audio components, Hong Kong-based ACE Professional Sound and Lighting, deployed an extremely large integrated audio system featuring components from JBL Professional, Soundcraft, Crown Audio and BSS Audio and configured using Harman HiQnet System Architect™ to support China’s National Day celebrations. Held October 1– the 60th anniversary of the 1949 revolution — this year’s celebrations featured 200,000 participants, an array of large, festive floats representing cultural, sporting and national successes and culminated in a 60,000-person evening rendition of “I Love China” in Tiananmen Square accompanied by a 300,000-shell fireworks display. Overall sound design was delegated to Radio Film and TV Design Institute of the China Media Group, with the bulk of audio-specific systems integration shouldered by Hong Kong-based ACE Professional Sound and Lighting. Although the sheer magnitude of audio logistics outstripped the capabilities of any single supplier, ACE contributed the lion’s share – roughly 80% – of all audio gear deployed in and around Tiananmen Square, with near universal reliance on highly integrated systems from Harman Professional. All told, equipment supplied by ACE included nearly 700 JBL loudspeakers plus more than 480 Crown amplifiers, 57 BSS Audio DSP units, and 46 Soundcraft analogue and digital mixing desks. During the parade, the total street frontage requiring audio coverage measured nearly 10 km. Coverage would have been a simple task, except that the stands adjoined a 17 m wide moat. To cover the broad expanse, ACE configured fourteen short arrays, each with two JBL VerTec VT4888 3-way cabinets atop a VT4882 subwoofer, with each combination driven by three Crown I-Tech 4000 amplifiers. The array produced ample power to cross the water, while the “short stack” configuration remained discreetly out of TV camera view. Two larger but well-disguised arrays, each with eight JBL VerTec VT4888 and four VerTec VT4882, covered the gate tower structure, with augmentation on the VIP balcony from 56 JBL MS26 cabinets on the floor and additional JBL AC16 cabinets mounted overhead, again powered by Crown I-Tech 4000 amplifiers. For broadcast sound, the discrete live sources, numerous submixes, and prerecorded material converged on a 96-input Soundcraft Vi6 digital console. Activity at the primary live sound control room (located at the gate stands) revolved around dual Vi6 desks, one with 96 inputs and a second with 64. A second audio control position (equipped with the same combination of Vi6 desks plus a 48-input Vi4) was set up in Tiananmen Square specifically for the mammoth orchestra and chorus. The many other distributed main loudspeaker systems and monitoring systems spread through the expansive site would require a small book to catalogue in detail. However, in brief, we can note that much of the street-side coverage was provided via custom-made (in China) column speakers designed specifically to blend with the ornate lampposts on which they were mounted. Low-mid drivers were domestically manufactured, with the 4”-diaphragm HF drivers supplied by JBL. The complement of approximately 100 lamppost speakers was powered by racks of Crown I-Tech 5000HD amplifiers mounted in the Great Hall of the People, adjacent to the Square. Hundreds of additional loudspeakers – drawn from JBL’s PRX, SRX, VRX and Control Series – were assigned duties along the avenues, in VIP rooms, at entrances and exits, around parade marshalling points, and for monitoring in performance areas. Dozens of supplemental audio mixing points were required as well. For the parade, 22 small analog mixers (mainly Soundcraft GB2R) were placed along the parade route to, picking up ambient sound and routing into the Nexus fiber optic snake system. Additional compact digital consoles (Soundcraft Si2 and Si3) were at the hub of smaller indoor and outdoor systems for the various parties and meetings surrounding the main celebrations. Delivering predictable coverage characteristics and high output capabilities in an extremely compact package, JBL Professional is introducing the smallest system enclosures in the VERTEC® product family, the VT4886 passive 3-way high-directivity line array element and its companion VT4883 cardioid-arrayable subwoofer. Incorporating innovative acoustical technologies and purpose-built transducers, they are specifically designed for standalone use or in conjunction with other existing VERTEC models. Designed to be one of the most versatile tools in a portable sound rental company’s inventory, the new VT4886 and VT4883 subcompact models are suitable for use in a broad range of suspended-array, ground-based and fill speaker applications, with a comprehensive range of array and suspension accessories planned for the new system. Application flexibility also ensures that the VT4886/VT4883 system will provide an effective sound design tool for performance audio facility system designers. Given its very compact dimensions, the VT4886 is ideal for distributed front fill or under-balcony use. VT4886 line array elements can also be suspended in large multi-box arrays or ground-stacked, either standalone or with its companion VT4883 low-frequency extension for FOH, offstage fill, stereo in-fill, center cluster or delay cluster use. Mixed VT4883/VT4886 arrays can be suspended and supplemented with additional, large-format ground-stacked VERTEC subwoofers for extended-range FOH use. U-bracket and pole mount fixtures also enable three to four VT4886 enclosures to be used with a tripod stand, or an extension rod in coordination with VT4883 subwoofers. Integral suspension hardware enables the quick, secure assembly of variable-curvature vertical arrays with adjustable splay angles from 0 to 15 degrees, or modular, constant-curvature horizontal line arrays, following JBL’s patented, road-proven mechanical design established with larger models in the VERTEC family. The VT4886 incorporates some of the latest electro-acoustical technologies developed by JBL Professional. Unique to the subcompact line array category, the VT4886 features eight transducers with 10 separate voice coils. A proprietary mid/high-frequency waveguide assembly seamlessly integrates MF and HF section output in a next-generation implementation of JBL’s patented R.B.I. (Radiation Boundary Integrator®) technology, providing precise wavefront control and allowing for proper inter-enclosure vertical coupling. Twin 1”-exit high-frequency compression drivers, equipped with neodymium magnets for the reliable reproduction of very high frequencies with precise, detailed fidelity, are mounted on a precision dual-aperture assembly that includes geometric path-length compensation to ensure optimal twin-driver exit summation. Each VT4886 also includes a total of four new 2103G 2.5" midrange transducers with neodymium magnets, combined with the high-frequency drivers in the new proprietary, integrated mid/high waveguide assembly. The midrange transducers utilize JBL’s Thermomaster® technology, paired in thermo-coupled back-cover heatsink structures for improved heat transfer, which results in reduced power compression. A pair of new 2166H 6.5" low-frequency component transducers with dual neodymium magnets and dual voice coils, incorporating JBL’s patented Differential Drive® technology, establishes a robust low-frequency foundation for the VT4886. Each 2166H low-frequency transducer is matched to a low-frequency diffraction absorber with a tuned resonant-chamber cavity. This unique proprietary technology ensures optimal performance even at extremely high output levels while reducing cabinet edge diffraction effects for improved horizontal coverage stability. A highly refined multi-band passive network is designed to minimize insertion loss and lower distortion while ensuring precise impedance matching between the low, midrange and high-frequency component sets. With a maximum SPL capability of 131 db continuous, 137 dB peak, the VT4886 has a nominal horizontal coverage of 110 degrees and a frequency range of 70 Hz – 20 kHz. It measures 577 mm x 197 mm x 260 mm (22.7" x 7.75" x 10.25"). The enclosure weighs 15.9 kg (35 lb). The VT4883 companion subwoofer is specifically optimized for use with the VT4886 line array element, both acoustically and mechanically, in addition to being a suitable complement for other loudspeaker systems in the VERTEC family. This powerful, highly compact subwoofer is equipped with rigid internal bracing in a vented-bandpass enclosure topology to support the high-performance capabilities of its pair of new 2263H-1 12" long-excursion Differential Drive® low-frequency components. The VT4883 is equipped with reverse-arrayable suspension hardware and an auxiliary input connector on the front grille, making it easily reversible within a group of multiple suspended or ground-stacked cardioid subwoofer arrays. The VT4883 has a frequency range of 35 Hz – 600 Hz (-10 dB) and a maximum SPL capability of 133 dB continuous, 139 dB peak (half space). Dimensions measure 577 mm x 397 mm x 641 mm (22.7" x 15.6" x 25.2"). The enclosure weighs 30.8 kg (68 lb). Patty Loveless, Livingston Taylor projects completed using JBL LSR6300 Series. NEW YORK, New York – Multi-GRAMMY® Award-winning producer/engineer George Massenburg, who is world-renowned for his contribution to studio design, signal processing, and legendary projects with Linda Ronstadt, Randy Newman, Lyle Lovett, The Dixie Chicks, Earth Wind and Fire, chose JBL LSR6300 Series studio monitors for his recent projects. Patty Loveless’ Mountain Soul II and Livingston Taylor’s forthcoming release were mixed at Massenburg’s studio using two LSR6328P 8-inch bi-amplified studio monitors and the LSR6312SP 12-inch powered subwoofer. The JBL LSR6300 Series monitors incorporate patented dual-drive transducers, capable of delivering very high SPL and flat response at all listening levels. Using Linear Spatial Reference design criteria, JBL takes 70 measurements, 360 degrees around the speaker providing 1200 times the data of a single on-axis measurement. Using this data, JBL designs critical components of all LSR6300, 4300 and 2300 series monitors to deliver very neutral response in a broad range of acoustic conditions. Going a step further JBL incorporates its acclaimed RMC™ Room Mode Correction system that compensates for the low frequency issues in acoustically less-than ideal spaces. At AES 2009, JBL Professional is introducing the MSC1 Monitor System Controller, a remarkable new product that integrates monitor system control and tune-ability at a most accessible price point. The MSC1 Monitor System Controller includes features found in large mixing consoles to control essential monitoring functions from the mix position. Since the acoustic issues in the room can compromise the quality of the mix, the MSC1 includes JBL's highly acclaimed RMC™ Room Mode Correction Technology that tunes the monitor system to over come low frequency problems in any room. The affordable MSC1 works with any speaker system, and is the perfect add-on to JBL’s new LSR2300 Series studio monitors. The MSC1 provides the ability to monitor up to three 2-channel input sources, such as a mixing console, computer workstation, and personal music player while controlling the volume of the monitor system and connected headphones. The MSC allows connection of two sets of speakers and a subwoofer. The primary “A” speaker outputs include user-defined monitor EQ and JBL RMC to tune the system to the room. The subwoofer output has its own level control, selectable crossover settings and RMC to perfectly blend a sub with the “A” speakers. The “B” speaker outputs allow connection of a secondary set of studio monitors. Included MSC1 Control Center Software allows access to user-adjustable settings including speaker equalization, subwoofer crossover frequency, subwoofer polarity and level, and fine-resolution delay that can be applied to compensate for variations in speaker and subwoofer distance relative to the listening position. Since much of today’s production is carried out in rooms with less-than-perfect acoustics, the MSC1 Monitor System Controller includes JBL’s highly acclaimed RMC Room Mode Correction Technology. RMC measures the room and automatically tunes the speakers to compensate for low frequency anomalies caused by room modes, proximity to walls and the work surface. RMC calibration is simply carried out using a supplied calibration microphone and MSC1 Control Center Software. During the RMC calibration, the software measures the room, calculates and downloads corrective filter coefficients to the MSC1 and balances the primary speakers and subwoofer within a ¼ dB. Following calibration, the MSC1 operates as a stand-alone unit without the need for connection to a computer. The MSC1 will be available in October 2009 at a US Manufacturer’s Suggested Retail Price of $375.00. Soundcraft is now offering a Vi Series control surface for applications where space is very tight.. The new Soundcraft Vi2™ inherits all the basic functionality of its larger brothers the Vi4 and Vi6, but measures just 850mm in width, around half the size of a Vi6. The Soundcraft Vi2 is equipped with one channel section of eight input faders, and the master section, which holds 8 faders. The Vi2 can handle as many inputs as a Vi4 or Vi6 (72 and 96 channels, respectively) using the standard stagebox and local rack hardware, with access to eight inputs at a time on the channel bay. By simply touching the input meters on the Vistonics™ screen of the master section, control of those inputs is brought onto the channel faders, along with all the channel functionality such as EQ, auxes, groups etc. In addition to the meter selection, three fully customizable layouts of the eight input faders are available via the new user-defined fader page feature that is part of the V4.0 software update for all Vi consoles. The Soundcraft Vi2 will therefore appeal to anyone who wants to use a Vi console but has more limited space than usual in which to operate. For example, it could be easily brought in at stage side for monitors alongside an existing console at festivals, or in corporate events where input access is less demanding than a multi-piece live band. The Vi2 is also suitable for use as a space-efficient spare console, and as an easily transportable training or programming unit. The Vi2’s Show files are fully compatible with Vi4 and Vi6 consoles, and also with the Virtual Vi Offline Editing software. All the usual processing is accessible via the Local Rack, and even the 30-band graphic EQ’s are available, by using a new paging system, accessed via the eight output section faders and included in the new V4.0 Vi software for Vi4 and Vi6. The Soundcraft Vi2 provides a cost-effective and useful accessory for existing Vi4 and Vi6 owners, who can use a Vi2 surface with their existing racks, which helps maximize rental inventory usage so that Vi console systems can be used on both large and small-scale productions. Square Brussels, a new event space in the Belgian capital, recently purchased Studer Vista 5 and Vista 5 SR consoles as part of the sound reinforcement system for its auditorium. Belgium-based company Play, based in Nazareth, installed the consoles, which were purchased through Studer’s Belgian representative HeynenNV. Square Brussels offers 13,500 square meters of meeting rooms, exhibition space and a state-of-the-art auditorium. The venue is in the heart of Brussels, offering breathtaking views of the city skyline and is located only 300 meters from the Royal Palace and next to the Museum of Arts and the Royal Library. Square Brussels is very sleek in its design and is perfectly integrated in the surrounding park with its plane trees. Old wall paintings from world masters have been restored and adorn the walls, while cutting-edge lighting, interior design, and top-class audio/video equipment all contribute to a warm, serene, inspiring and stimulating environment. With its comfortable leather seats and modern design, Square Brussels’ large auditorium calls for the best and most versatile mixing consoles on the market today. In the end, ease of use multiple interfaces and scalability were the primary factors in choosing the Studer Vista 5 and Vista 5 SR consoles. “The Studer Vista 5 and Vista 5 SR with its Vistonics™ interface are highly intuitive and very easy to use, which is perfect because during a live performance, the operator should be totally concerned with making the sound perfect as opposed to worrying about which button he is pressing," says Jos Jorissen, Managing Director for Heynen, which also supplied all HD video encoding and video over IP distribution equipment for the digital signage system. first deployment of Harman HiQnet™ System Architect V 2.0.
as Europe’s greatest stadium systems. BURNLEY, England — Harman International Industries (NYSE: HAR), a leading provider of branded audio and infotainment electronics for the home, the car, and sound professionals, today announced the successful completion of an advanced networked audio system at Turf Moor, the stadium of English Premiership football club, Burnley F.C. Having recently gained promotion to English football’s top tier for the first time in 33 years, it was fitting that Burnley F.C’s first clash would be with reigning champions, Manchester United and with such a seeming-massive challenge in hand, Burnley F.C.’s managers sought to effect a 12th man home advantage at Turf Moor. They engaged acoustic consultants, AMS Acoustics and integrators ETA Sound to design and install a fully integrated PA/VA compliant public address system that would put Turf Moor system in the same league as Europe’s greatest stadium systems. The resulting system, designed and controlled using Harman HiQnet System Architect™ and featuring components from Harman Professional brands including JBL, Crown and BSS Audio, received a rousing reception, was covered widely in the local press and, most importantly, a famous David vs. Goliath victory was recorded. AMS Acoustics had already implemented an earlier first phase upgrade last season to bring three stands into VA compliance. During the course of this exercise the capture of a full range of measurements was required and the resultant data, after analysis, was used as the cornerstone for an entirely new design the following year. During the short closed season, AMS returned with ETA Sound to implant a complete Harman Pro solution, using a fiber-based signal network that would extend to the three main stands — the North (James Hargreaves) stand, the East (Jimmy McIlroy) stand and South (Bob Lord) stand. Tasked with supplying a voice alarm-compliant system with high STI (Speech Transmission Index), AMS Acoustics’ project designer Helen Goddard made her product selection with care. Her design enabled the voice evacuation system to double up to meet on-pitch entertainment requirements. The company needed to achieve peak level in an emergency scenario, related to crowd noise. “We knew the system would have to achieve a maximum of 102-105dB(A) and this meant we needed to use loudspeakers that would be able to achieve these kind of levels without going into compression,” Goddard explained. First, the JBL loudspeakers were set a number of challenges — including a performance evaluation in AMS Acoustics’ anechoic chamber, even to the point of a destruction test. This was supported by Sound Technology, the Harman Professional distributors, who provided all the necessary back-up. The acousticians then set about designing the control, signal path and zoning matrix, opting for an integrated Harman Professional package based on system optimization and cost-efficiency. “As the budget was quite tight this was the logical way to go,” stated Goddard. Crown CTs amplifiers, fitted PIP-USP3 speaker processing units, BSS Audio Soundweb London DSP devices, with BLU-link, running on a fiber backbone — and independent HP ProCurve network switches across all rack locations — form the system architecture. Media converters are provided for the BLU-link data and HP GBICS-LC, providing fiber interfacing on the HP ProCurve switches, and the infrastructure provides one dual redundant Ethernet network as well as an independent ring for the BSS AUDIO BLU-Link audio transport. In this fully-redundant design, UPS systems provide all the power conditioning and mains support in the event of a power failure. The installation was also notable for the advanced DSP programming skills of ID Networks’ Martin Barbour, using the attributes of Harman Professional’s new System Architect v2.00 software — the first use anywhere in the world. “Given that this was a fast fit job it saved me huge amounts of time,” Barbour said. Eddie Thomas of ETA Sound worked closely with Tom Williams, Sound Technology’s acoustician. In fact the latter had been closely involved from the outset of the project — taking part in the initial concept discussions with AMS Acoustics, supporting the equipment testing and measurement procedures, setting up the load monitoring — and finally assisting with system commissioning. In total 16 JBL AM6315/95 (90° x 50°) full range loudspeakers with rotatable horn and 12 AM6200/95 mid-high loudspeakers have been used. In the South Stand JBL AM6315’s have been deployed, mounted horizontally to counteract sightline restrictions, with the horn rotated. Covering the East stand are three clusters, each with JBL AM6315/95 in the vertical plane and JBL AM6200/64 covering the lower raked seating (90°x 50°). In the North stand there are five similar clusters of the same, with the JBL AM6315/95 mounted at the top in the vertical plane, and JBL AM6200/64 bolted under to cover the lower rake. An additional four JBL AM6200/64s (60°x40°) are also suspended on the north stand, specifically to provide pitch coverage. The network services a total of 23 PA zones although these are logically broken down into stands, concourses and turnstile areas. The BSS AUDIO Ausio Soundweb London devices are configured for a maximum of 72 outputs and between 24 inputs. Barbour explains, “Originally this was to have been a CAT5 installation but when the client moved the rack locations this took us outside the Ethernet 100m range — so we suddenly had to rethink the networking aspect.” Eddie Thomas’s team then designed and arranged a fiber network to be provided and installed within two weeks. The majority of London Architect’s Logic programming is dedicated to the graphical user interface and voice evacuation autonomy, which is permanently monitored. This allows any of the evacuation messages or microphones to be routed to any of the PA zones, while in each rack location there are also local access microphones as a final tier of security. Each output has its own independent gains and EQ with three volume settings — low (dropping the system down to 85dB), match day level (which runs at 100dB) and the emergency maximum level (of 102-105dBA). Martin Barbour says that running both the new London Architect v2.06 and Harman HiQnet System Architect v2 software offered huge advantages. A notable feature of the new Soundweb system designer is the Wire Tags feature. “This feature comes into its own with complex and vast DSP or Logic designs. It enables me to keep the design tidy, easy to follow, and when used in combination with macros, easily expandable. His adoption of the new System Architect software was particularly inspired and was the result of having been engaged as a Harman Pro developer partner for the past 12 months. “So we knew well ahead of time what SDIG was planning with its upcoming version of System Architect,” he states. However, it wasn’t until final beta testing during June / July, where he saw their work in a tangible form, that it became obvious how suited this major update would be for an upcoming stadium project which had an extremely tight time scale. “I presented the idea of using System Architect v2.0 on the Burnley FC project to Adam Holladay at SDIG who helped by providing an interface with the R&D team as we ironed out some small issues,” he recalls. “As the driving force behind the new workflow based approach to System Architect, Adam was best placed to translate my observations and comments in to some last-minute enhancements ready for the final release. “During the design stage, my first impressions were that the user interface was more refined and it was obvious that a great deal of thought had been put into how the software would be used. The new layout guides you through a number of basic steps in much the same way that a software configuration wizard could but without the restrictions often associated with multiple choice Q&A based setup guides. System Architect was used to configure the CTs amplifiers across three rack rooms covering three stands and the pitch. Each stand is divided into a number of zones depending upon its size and we were able to quickly build up a collection of panels for either complete stand or zoned control to aid with system setup and commissioning. Multi-parameter assignments and filtering controls allowed us to implement global buttons to activate each of the fault monitoring status reports which was far quicker than going in to each amplifier and activating these controls manually. What this provided was a topographical view of the venue in a logical form with direct access to a simple user control panel for every area of the venue. Devices are contained in representations of the real rack rooms and individual DSP or amplifier channels are associated with the correct parts of the venue, all without manually building any control panels or links. “This approach basically takes away lots of the legwork required to achieve simple and consistent room control for distributed audio systems,” he says. Many other features, already found in prior releases of System Architect, have also been reworked — including the ability to associate many parameters with custom controls. This has been made more user friendly through easy access to all devices and new filtering controls. “We now have a great starting point upon which we can build as the stadium develops further over the next 12-24 months,” says Martin Barbour. “The exciting thing about System Architect v2 is not just what they have now, but what they have laid the foundations for in the future,” he continues. “System Architect v2 approaches system design with a new perspective, it replaces the need to manually translate physical devices to logical areas. It subtly guides you to a common starting point where you have full access to the critical controls for your venue. It makes the creation of more complete and user friendly control interfaces faster and more efficient. When French opera singer Roberto Alagna performed a one-off spectacular at the Chateau de Versailles recently, supported by the 90-piece Orchestre de Paris (conducted by Michel Plasson), Studer Vista 5 SR digital consoles handled both the house and monitor mixes. The concert, performed in front of 7,000 people, was held in the middle of La Fontaine de Neptune basin — on a concert stage especially set up for two months in the summer, specifically to stage spectacular events of this nature. The sound reinforcement system was provided by French distributors, DV2 while the two Vista consoles were loaned by Audiopole, the French Studer distributor. FOH sound engineer; Jean-Marc Aringoli, was already familiar with the Studer topography having used the Vista 8 for several years to mix ambitious live musical spectaculars for television such as Les Victoires de la Musique at the Paris Zenith. He wanted to test the Vista 5 at a major outdoor event, believing the quality and innovative features and connectivity of the top-of-the-range Studer platform would best serve a traditional event such as this. A presentation by Audiopole’s Jean-Luc Gerard reinforced that belief. After consideration it was decided to use one Vista 5 at FOH and one on monitors (for Alex Maggi), knowing that this would create an improved workflow. A total of 80 mic inputs were divided between the two desks, with the FOH and monitor Local Racks respectively linked to the Stagebox via 150-metre MADI optical fibre snake. The show was digitally multitracked using a Tascam X48. Use of Studer’s Virtual Surround Panning (VSP) — the onboard DSP which is also used to calculate appropriate frequency and time-based changes as a sound is panned — was a further bonus. “The EQ’s are very efficient,” continued Jean-Marc. “We had delays on all inputs to compensate for the distance and the VSP, with stereo pan simulation, was astonishing — you can now have a real stereo image for the entire audience. Despite his extensive experience, Alex Maggi, was using the Vista 5 for the first time — but was no less enthusiastic about the Vista 5 SR. "This is an excellent console, offering huge possibilities. The control surface is easy to learn and the strip setup allows an impressive customisation of the surface. I really look forward to using it over a longer period." Both men were unequivocal in their praise for this console. “It was the perfect choice for this event," they agreed.